Description: This 650ml bottle is manufactured from Tritan. Features: Designed with a handy hook on the lid for carrying. BPA Free. Packaging: Polybag Colour: White. 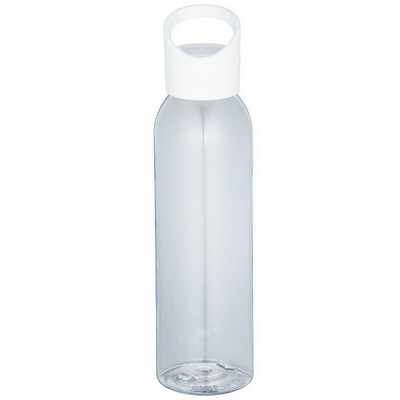 Material: BPA Free Tritan Product Size: 255mm(h) x 65mm ? Freight details : 48 per carton, 6kgs, 46 x 31 x 55cms; Decoration Type(s): Colour Print / Full Colour Print Decoration Area: Pad: 40mm(w) x 90mm(h). Rotary print size available on request. Price includes : 1 Colour 1 Position Print. Setup is included.